More Support for "Question Evolution Day", February 12! Creationist filmmaker Ian Juby has excellent material. His videos are extremely popular. It's no wonder, with his personality and great humor, I don't see how people can dislike him. Disagree? Of course they do. 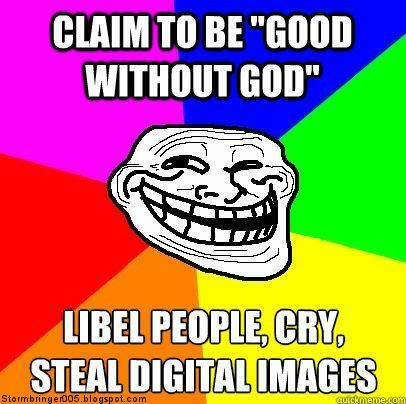 Atheopaths love to hate creationist material, and creationists, and Christians, just for the sake of hating. Atheism Video: "Zeitgeist - Exposing the Lie"
Atheists are appalling at doing their homework. A typical example is when someone sent me a "Tweet" on Twitter insisting that Jesus never existed, and that Christianity is a rehash of older mythologies. Intellectual lightweights like this get their false information from other intellectual lightweights in pooling of ignorance sites. 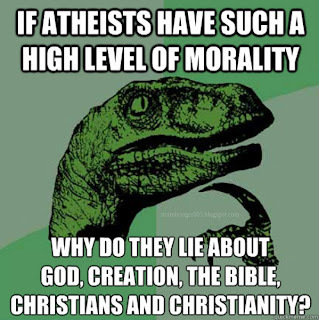 These are where other misotheists dig up excuses to attack God, Christianity, the Bible, Christians themselves and so forth. 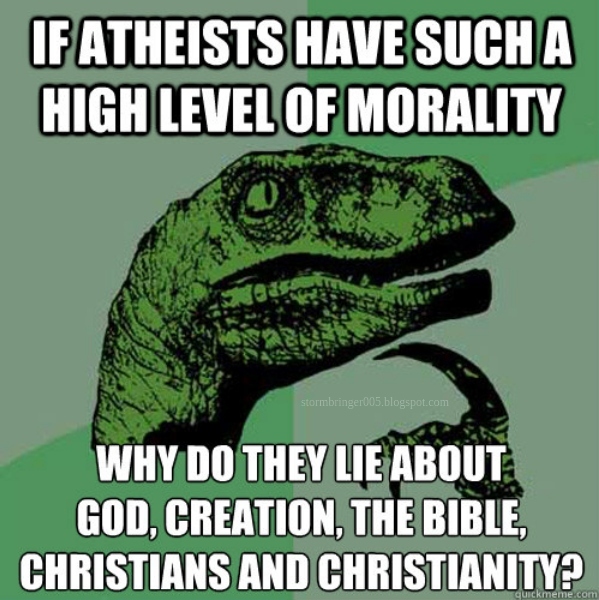 Perhaps they think that if they act like they have real knowledge, Christians will collapse and give up their faith in God under the power of the mighty atheist (who is lying). If they had bothered to do actual research instead of relying on people who use the profound academic principle called "Making Stuff Up", they wouldn't be humiliating themselves. In addition to sharing bad information with like-minded fools, they love to watch videos. After all, if it's in a video and it agrees with their preconceptions, it must be true! One of the most popular videos in the "Bucket-Full-O-Lies" category is Zeitgeist. This infected beast has been put down several times before. But for those of you who didn't get the memo, here is a ten-minute video that cites real information, and not the outright lies of Zeitgeist. Sometimes, I feel that I'm remiss if I don't occasionally remind people to never give out personal information! Most of my readers are not only tasteful, but highly intelligent. (Then there are the atheopaths — go ahead and take advantage of the special offer in the next paragraph.) Ignore any e-mail that wants personal information or a "click here", especially if the requested information was (a) in your spam folder, (b) not from anyone you know, (c) sounds too good to be true. Still, a reminder now and then helps, yes? Aside from the bad grammar from someone who does not speaks good engrish, the scam looks a bit more convincing than others. By the way, for the atheopaths who are upset that they missed out on my Wingless Chicken Bones franchise offers, take a break from your ongoing pointless mission to demonize people. Here's another great deal for you! Please pay attention, the font and color changes are to offset my wording from the scam — I mean, business opportunity for atheopaths. Please read this mail carefully and proceed to collect your ATM CARD worth US$7.500,000.00 payment. Following this year's (2013) review of the global financial matters and just concluded investigations today by the Federal Bureau of Investigation in conjunction with the ECONOMIC AND FINANCIAL CRIME COMMISSION (E.F.C.C), it is revealed that your email is among the list of people who have never received any of their payments among lottery,inheritance, compensation and awarded contract funds and victims who have lost a lot of money to scammers while trying to claim their funds. In view of the foregoing, a new payment of US$7.500,000.00 has been approved in your favor and credited into an ATM CARD which shall be delivered to you. Note: Thousands of fraudsters have been using this method in scamming most foreign creditors that we have in the payment list here in our office. We use this medium to inform you that any mail that do not come with the new communication code: NG/.CCUF -HFCR-/RLPHJ/.is false. In this case, you’re adviced not to respond to any mail that does not come with the above communication code for safety purpose. Thank you for your anticipated cooperation and we are looking forward to hearing from you. Jason managed to give an arrogant atheopath "what for" without much effort. Since the atheopath cried about it in a response, Jason put more effort into a reply to the response. We can clearly see that the atheist is the intellectual inferior here, at "Online Atheists and You, Part 2". 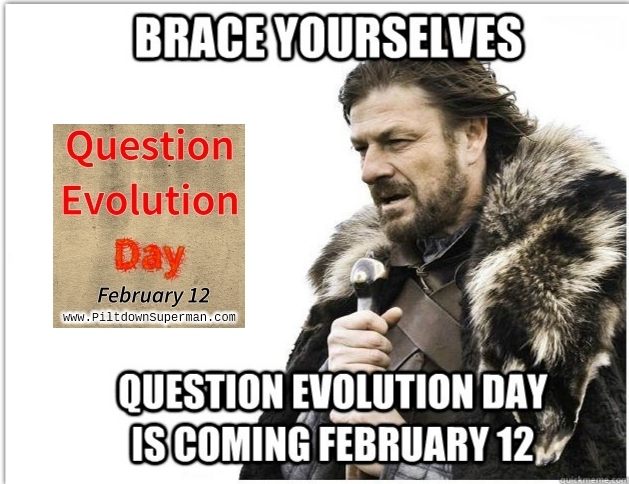 Did I mention that "Question Evolution Day" is February 12? Know how government can save billions of dollars? Stop funding religious pseudoscience. Of course, I am talking about evolutionism. 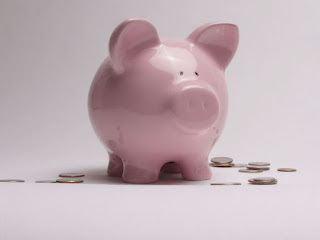 It is based on fraud and the pursuit of money, and is a complete waste because there is no practical benefit in it. As the American people faced a "fiscal cliff" dilemma forcing action on monetary policies which could raise taxes and cut government spending this may be as good a time as any to discuss one of the ways the US government could save vast amounts of money while also cutting suicide rates and increasing the collective American intelligence quotient. The "theory" of evolution has become the stand-alone hypothesis for how man came into being by the "scientific" community in the western world, but is this real science or is something more sinister afoot? Richard Dawkins, arguably the world's most renowned apologist for the worldview of Atheism, once said "I would not be an atheist were it not for the theory of evolution because the theory of evolution is what drives modern atheism". It does seem, now more than ever, that by using fraud and bigotry the atheists are seeking to destroy the faith of an entire generation. Do you have the nerve to keep reading "The 'Welfare Science' Enigma! 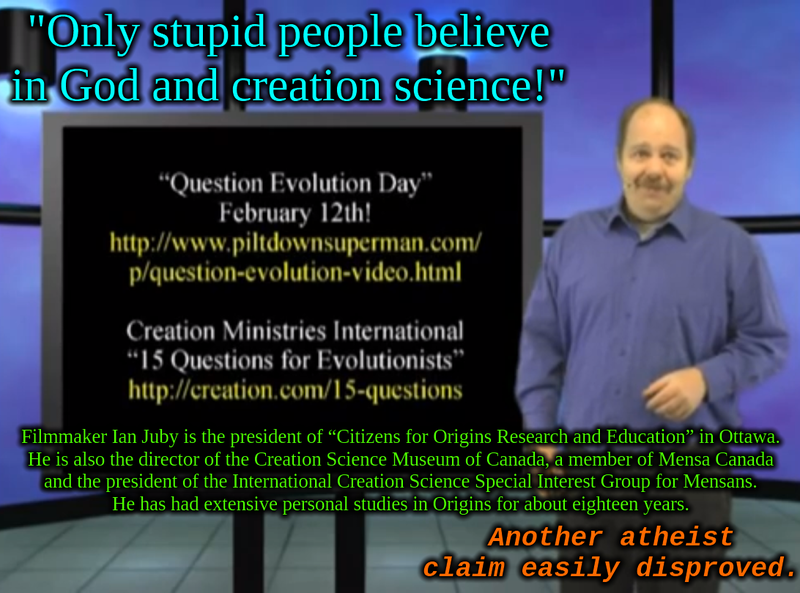 Theory of Evolution Based Entirely on Fraud and Bigotry"? Go ahead, if you're not afraid of the truth. Darwin's Cheerleaders make pronouncements that evolution is true, that's why you see what you see. When you point out that their facts are lacking and present contrary evidence, you are called "LIAR!" by these simple-minded defenders of their faith. Of course, they cannot show where the facts we present are wrong, and will not do more than give them a cursory dismissal by copying from pooling of ignorance sites. Nor can they show that someone actually intends to deceive. These people also do not seem to know the difference between "disagreement over the facts" (which increases scientific development) and "dishonesty". No, they do not really know what a lie is, they just want to provoke an emotional reaction. So, according to those intellectually and emotionally impaired types, the following short video is a lie and full of lies. For intelligent and honest people, however, it will make them think. It points out that evolutionists ask you to discard your own ability to reason and believe their absurd "just so stories". They do this quite often, by the way.